Free Parking all day Sunday. Taverna is bolstered by strong public transportation links. Check out our private dining section. Simply call the restaurant 306.652.6366, order and pick-up. Delivery is available until 4PM. Contact us for details (charges may apply). Plates, napkins, and utensils are available if desired. If you need us to come and set-up your selections, charges will apply. At least 24-hour notice is preferred. Customized menus are available, a catering coordinator will help you make selections or give you ideas. TAVERNA is nestled in Saskatoon's historic downtown core within walking distance of a number of major hotels in the renowned entertainment district. The building was originally a grocery store dating back to 1907. 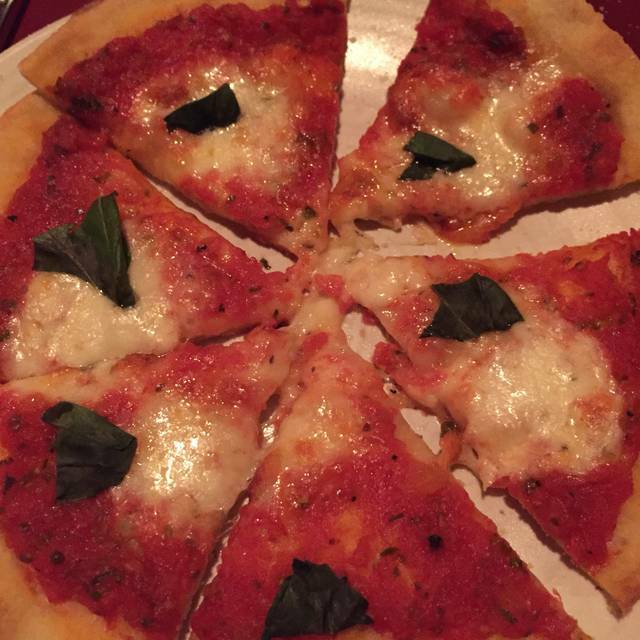 Taverna still maintains a historical charm and character, serving fantastic rustic Italian dishes since 1969. This is a limited intervention style of cooking, inspired by family tradition. We don't try and upstage our ingredients with elaborate techniques or clutter them up with fancy sauces. It's just simple respect for intensely flavoured San Marzano tomatoes, fresh garlic, warm basil, thick golden oil of first pressed olives and the conscious effort to bring locally grown, organic, and sustainable ingredients to your table when ever possible. Located on Saskatoon’s famed 21st Street, just steps away from an array of shops, variety of hotels and the gorgeous South Saskatchewan River, Taverna is the ideal setting for many occasions. Strongbow, Apple Cider, England, U.K.
Prosecco, LaMarca, Veneto, Italia N.V.
Dom Perignon, Moet & Chandon, Champagne, France N.V.
Prosecco Brut "Garbel" Adami, Veneto, Italia N.V.
Franciacorta "Cuvee Prestige" Ca'del Bosco, Lombardia, Italia N.V.
Lambrusco "Lambrusca" Lini 910 Emilia-Romagna, Italia N.V.
Great meal with great service. Tony was outstanding and was able to answer all of our questions and suggest different things that our group would enjoy. Taverna was nice. We went on a Sunday evening. My only complaint was that we felt a little bit rushed. The waiter we had did a great job, but we barely had time to start our drinks and our appetizer and then the main course was served and as soon as we were done, we were offered our bills and asked how we would like to pay. We had been in the restaurant for a total of 30 minutes and it wasn't even busy in the restaurant. Other than feeling rushed, I felt like it was a very nice place and the food was delicious. 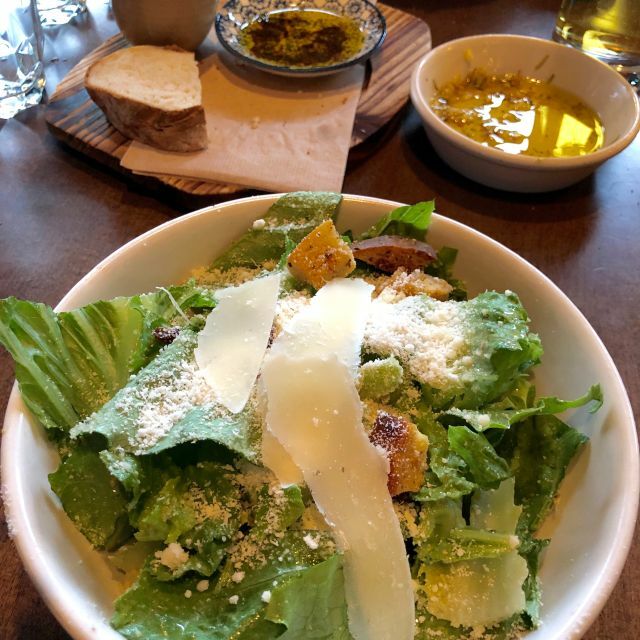 Taverna is consistently delicious. It's one of my favourite places in Saskatoon. I also like the upgrades they've made so that you can eat outside in the summer. I had reserved on line but not seated in the desired area. The waitress apologized after seating us and all was good. The servers were very attentive and the serving time was spot on. A suggestion when asking how the food is the phrase " how are the first bits tasting" is getting very old. other phasing would be appropriate for an establishment of your calibre. I was in your restaurant for a business dinner. All of my guests enjoyed their meals and the service was excellent. Service was exceptionally slow for a lunchtime reservation when the restaurant was not even half full. We waited almost 40 minutes to get our drink order taken. I would not recommend if you are on a lunch break or have a tight time frame. We had our anniversary supper at Taverna. Great food and service as always! Sunday evening dinner to celebrate my wife’s birthday. 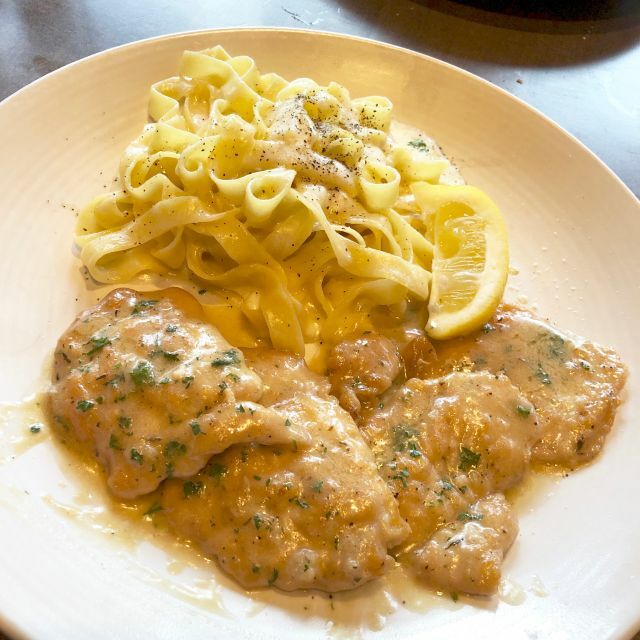 She has loved Taverna’s food for decades. Overall experience was very disappointing. Very noisy. Started with bruschetta. Portion size was comical. Two tiny slices of baguette. Entrees were ok but certainly not reason to return. (Lasagna & veal parmigiana). Quite boring actually. One tiny Caesar and one domestic beer for drinks. Bill was $85.00!!!! $100 with tip. WOW! (Not a good WOW). Won’t be back. I booked a reservation online and also called to confirm my numbers for a birthday supper of 15 people. When we arrived, I was disappointed to find out our table was given away to another group and we were not accommodated for this mistake. Our party was crowded at two separate booths. Hopefully future reservations are dealt with in a more organized manner. We went to Taverna on a Saturday night, after a theatrical production. Our reservations were at 545. We didn’t get seated until at least 615. The restaurant was completely packed—apparently everybody else had the same idea. We had outstanding service and a delicious dinner. We were away from the lineup by the cash register although close enough that we had to speak loudly to be heard. Otherwise, it was a fabulous experience. It is lovely to go out to an authentic-feeling and tasting Italian dinner without having to jump on a plane! The service was prompt, courteous and fun. The food was tasty and comforting! I booked reservation days in advance. When I checked in we waited 20 minutes longer to be seated. Our reserved table for 6 was in front foyer. When question seating positioning with advanced reservation we kind of got “a shut up and sit down you are lucky to have a table attitude and I don’t have time for you”. Serve came immediately to get drink order, we had not looked at menu she seemed annoyed. As we looked at the menu the foyer filled up to the point that people were standing so close to our table there buttocks touched some guest at table hair (personal space, too close). I was impossible to get to one side of our table so server reached across or passed. Ordered dressing on side came drenched person delivering questioned when said ordered on side but server came and backed up guests comment. Food was yummy but the rest of visit really spoiled. Server was too busy for us to pay at table and asked us to pay at front. We obliged but waited another 10 minutes and the man at front took our payment as if we were a nuisance and it was our pleasure he took our payment. Stay away! They all had the attitude that we should feel honoured to be in the restaurant not, as it should be, it was their honour to have us there! Shame cause food is good! 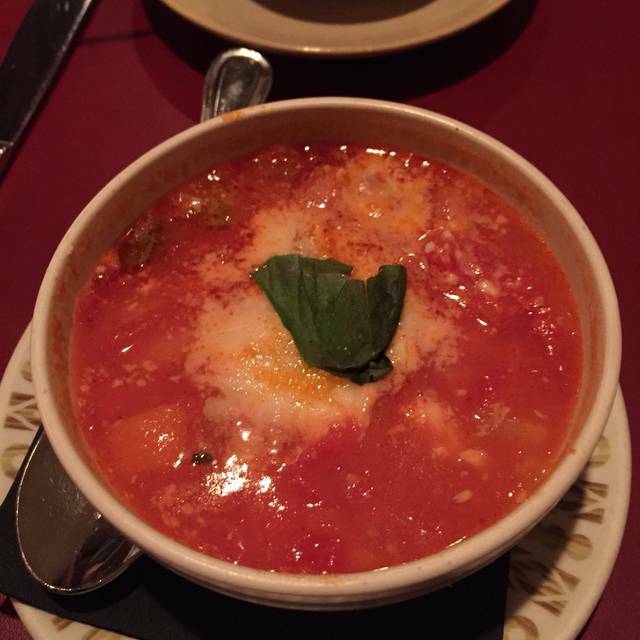 We usual have great experiences at Taverna but this time didn’t compare. We were celebrating a job promotion and had invited our parents to join us and our teenagers. We were unable to hear a conversation from the other end of the table as it was quite busy but it was also a Saturday night so that is understandable. The server forgot our appetizers and brought my daughter the wrong meal so she had to wait while the rest of us ate. My husband and I both thought that the alfredo sauce was a bit congealed and not like it usually is. I misunderstood what the server said when I was ordering and thought that I was getting something different than what he brought out and had to order some protein to go with it after but that was partly my fault. Unfortunately, not the experience we were hoping for and not sure we would choose to come back when we are inviting others to join us. Great value. We had two appy's, main course, 2 drinks each and both of us took leftovers home for $100. Our waitress just wasn't great. When she finally arrived, she didn't introduce herself or offer any help with the menu, specials, just 'Can I get you a drink'. I watched her throughout the evening and she was constantly in a state of panic or confusion event later into the meal when the restaurant had slowed considerably. 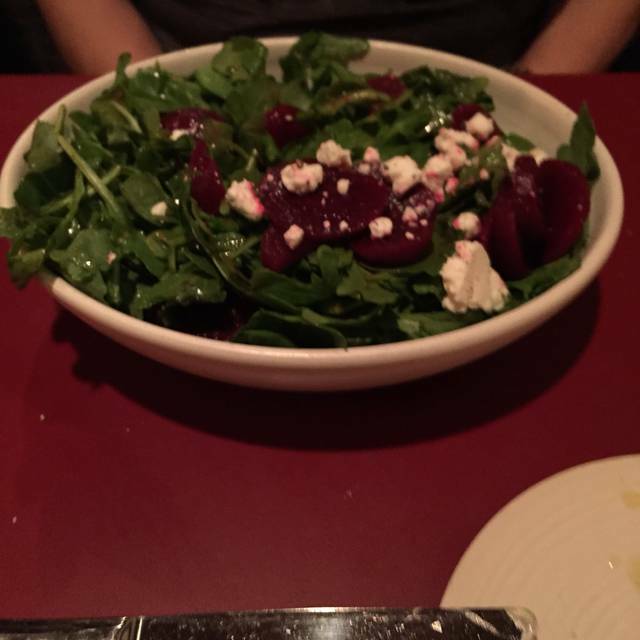 My wife's starter salad was forgotten (and later comped) and we went 20mins waiting for our waitress to come back so we could order more drinks-we actually had to ask a different waitress. 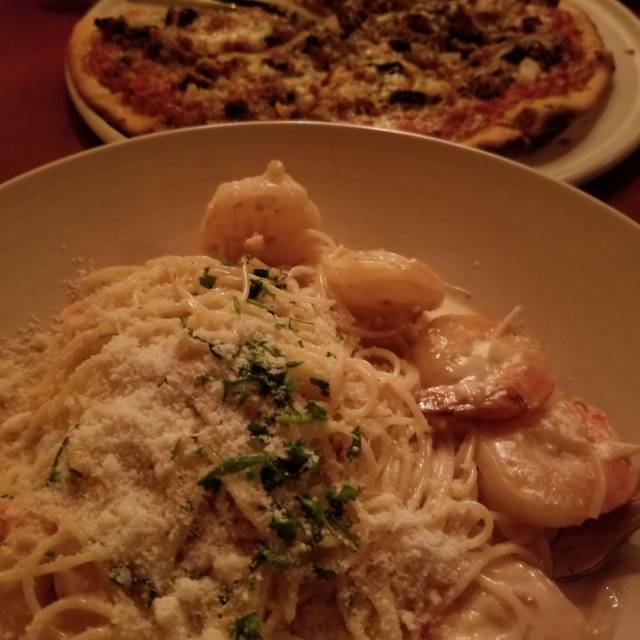 Our favorite Italian food in the city! We have never had a bad experience in our many visits. Highly recommend for both quality of food..but also the overall experience is great. Best restaurant in town! True Italian restaurant. Great food! Really great environment, loved the decor and the staff could not have been friendlier or accommodating. Kudos! Best traditional Italian Food in Saskatoon. Family atmosphere. Great service and wine selection. I look forward to returning. 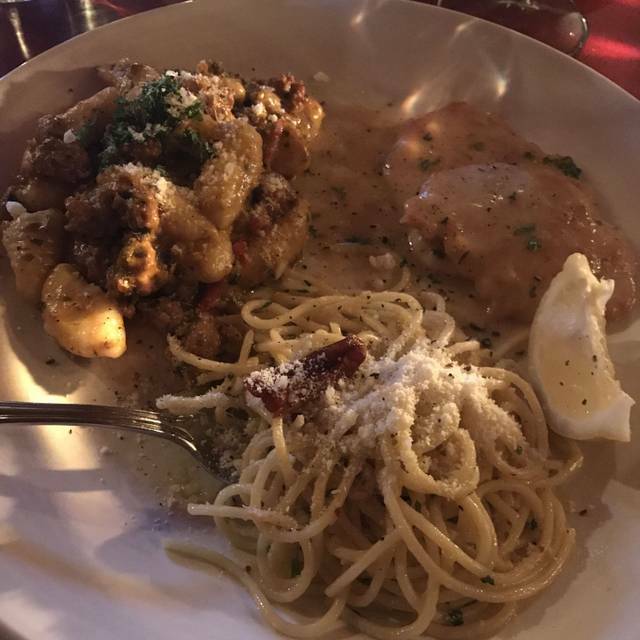 Taverna was an excellent pasta house that had a small Italian restaurant feel. The staff was friendly and the place is very busy so reservations are a must. We thoroughly enjoyed our dining experience. Our server was Stephen and he was exceptionally helpful. Travers has become a family favourite. Great food, service and experience. Family friendly too. Great for a special night out! 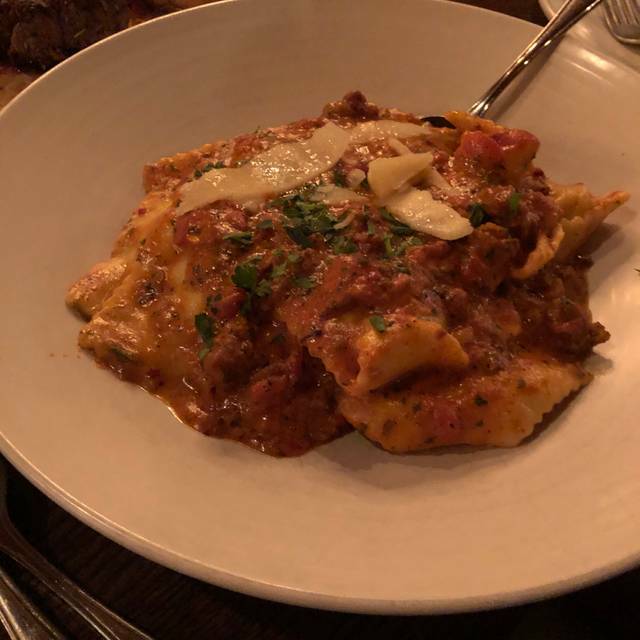 The food was amazing and all the staff super nice, I just had pasta and had enough left over to have the next day for leftovers. Also the bread was to die for. Best Italian meal I can ever remember having in North America. 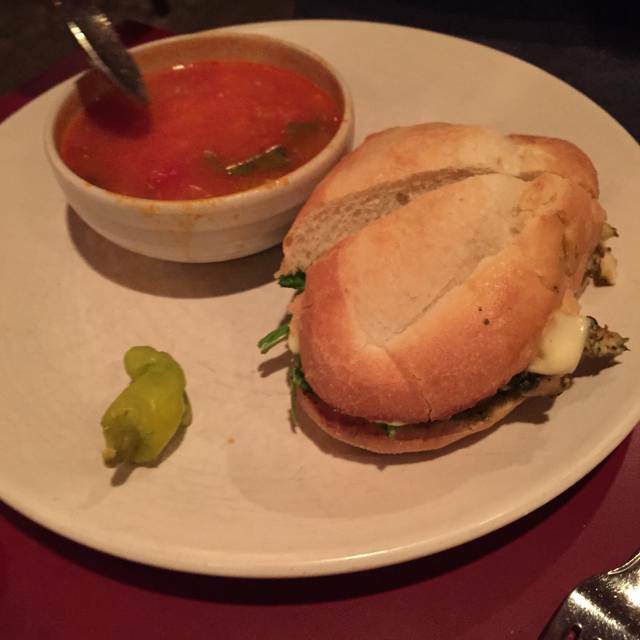 The food and service were absolutely top notch and we all really enjoyed the experience. Highest recommendation possible! My sister and I had a lovely time. I was a bit distracted by the sound/reverberation of the steps of passersby near our area but it did not detract from the overall experience! all three of us ordered the soup and salad combo. The tortellini soup tasted like luke warm dishwater. Even after we added more salt and pepper. Tony was awesome. Attentive and knowledgeable! Food is amazing, and great selection of wine. I would 10/10 recommend this to friends. The food was so...so. The rice balls with the beet and goat cheese centres were under seasoned for my taste. The Strawberry cocktail was short on liquor flavour, rather watered down.I ordered the arugula salad with vinegar dressing but it came late and, again, short on dressing. The waitress Kindly brought more dressing. I also ordered a half portion of fettuccini with an Alfredo sauce. It was not hot enough, dry and rather congealed with too little sauce which I had to order extra. The flavouring of the sauce was only mediocre. The service was the best part with a pleasant waitress and explanation of the menu items. I probably would not come back. I am vegetarian and really like good food, but it needs to be prepared well and seasoned well to suit me. My wife is gluten free and they only offer a penne noodle in gluten free, there should be other choice like spaghetti for gluten free. Other than that a very nice place to dine. First time at this restaurant, and definitely will not be our last. Amazing food and dessert. The cocktail could have been in a larger glass for the price, but it was really tasty.